Radio Caroline has a history going back to the day's of offshore radio in the 1960's and is one that era's great survivors. 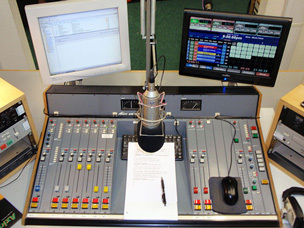 In the 1970's the station returned as an album format broadcaster operating off the coast of Holland and then the UK from the radio-ship Mi Amigo until she sank in a storm in 1980. Not giving up, Caroline returned once again three years later with a bigger and better radio-ship Ross Revenge. 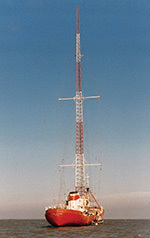 This sturdy vessel rode out the Great Storm of 1987 only to have the weakened 300ft arial mast collapse a few days later. After repairs she was on the air again until 1990 with many more adventures which you can read about on the history pages of our website. Although we still have Ross Revenge, today's Radio Caroline is a landbased broadcaster using the ship for special occasions. We can be heard 24 hours a day around the world on the internet.